The east coast side netted through Siti Rahmah Othman (44th, 54th), Manmeet Kaur (52nd) and Siti Noor Amarina Ruhani (60th) while Hanis Nadiah Onn (eighth) and Nur Zafariah Aziz (50th) replied for PKS-UniTen. With the result, Terengganu Ladies will have a two-goal cushion for the return leg on Thursday. 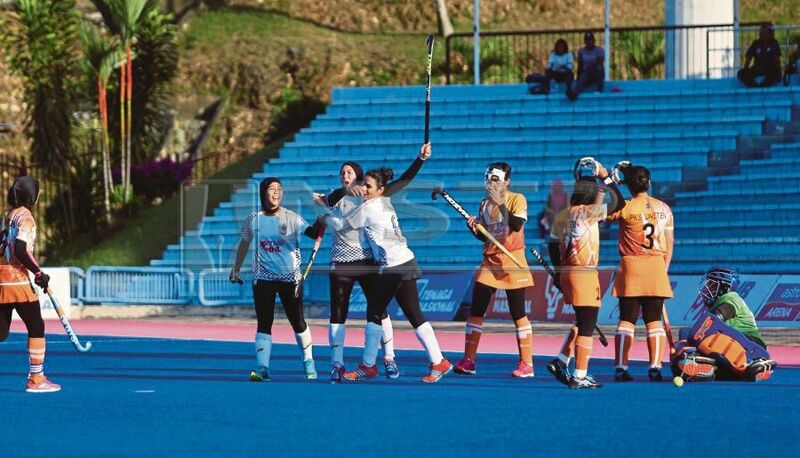 In the other semi-final, China’s Liaoning Hockey Club edged Police Blue Warriors 2-1 at the Tengku Abdullah Stadium in Bangi. "A two-goal lead is nothing in modern hockey. We cannot afford to be defensive in the return leg. “Today, we had more than enough chances to win by a bigger margin, but we failed to convert sitters,” said Terengganu Ladies coach K. Gobinathan today. PKS-UniTen coach Lailin Abu Hassan said his charges are not out of the running yet. "No, we are not going to give up easily as even though they have a two-goal cushion, I have my plans for the return leg. “We just gave up after taking the lead today as we made too many mistakes,” said Lailin. Chen Yiming was the toast for Liaoning HC with a double in the second and 14th minutes while former international Nadia Abdul Rahman narrowed the gap in the 21st minute.